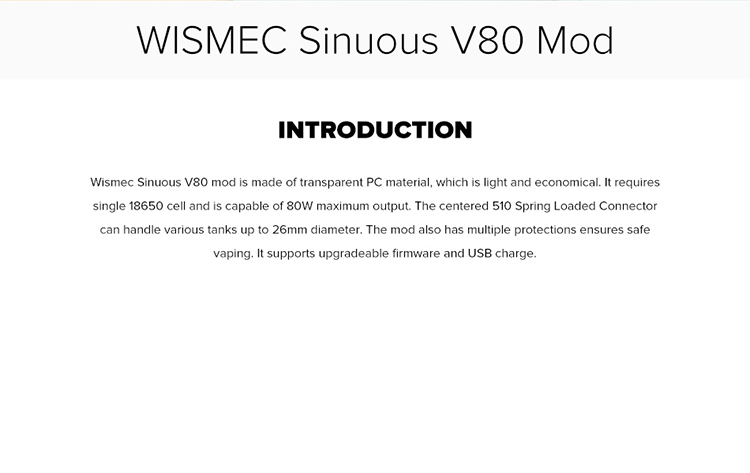 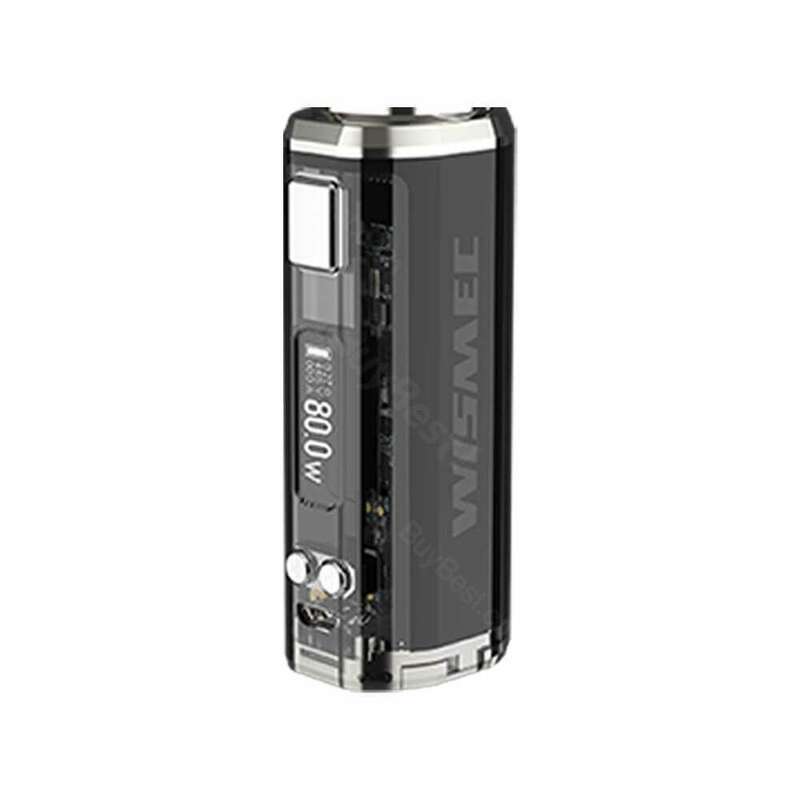 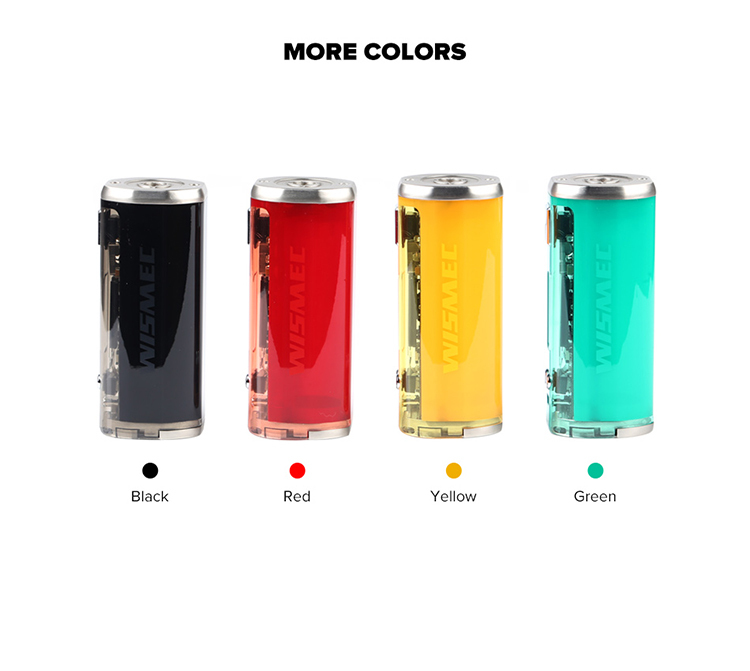 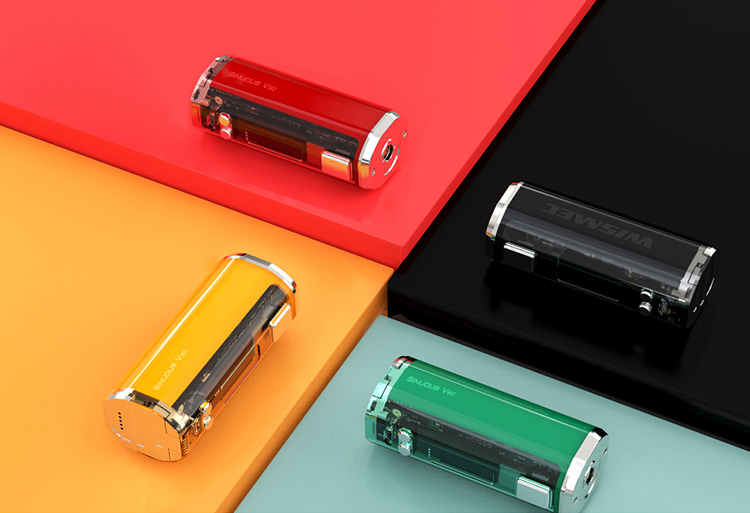 Wismec Sinuous V80 mod is made of transparent PC material, which is light and economical. 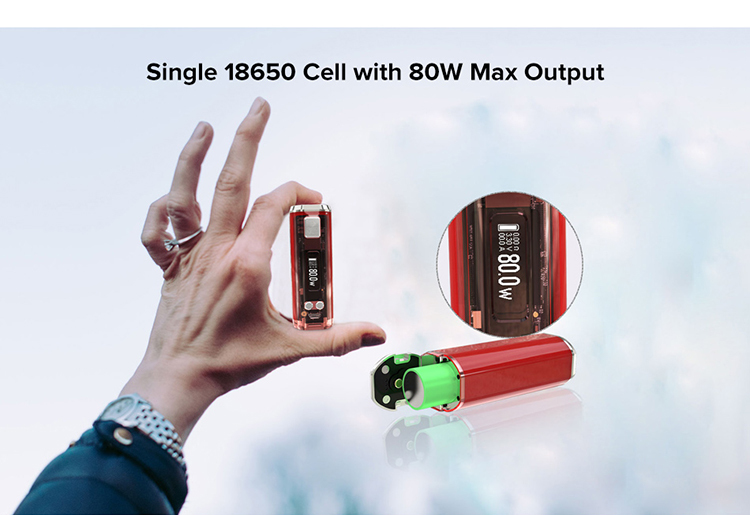 It requires single 18650 cell and is capable of 80W maximum output. 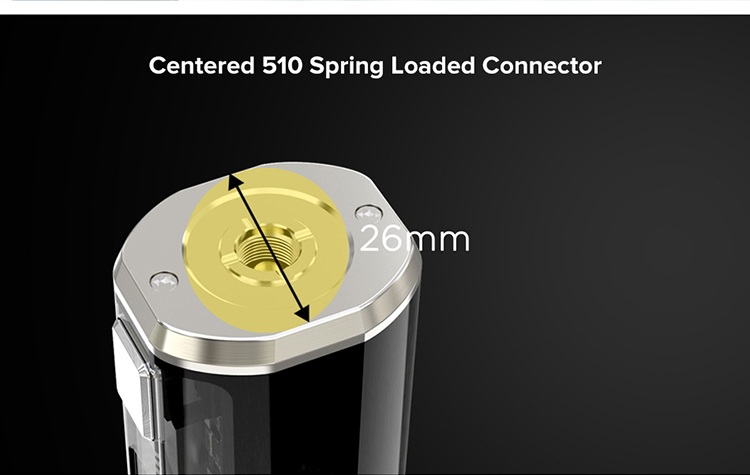 The centered 510 Spring Loaded Connector can handle various tanks up to 26mm diameter. 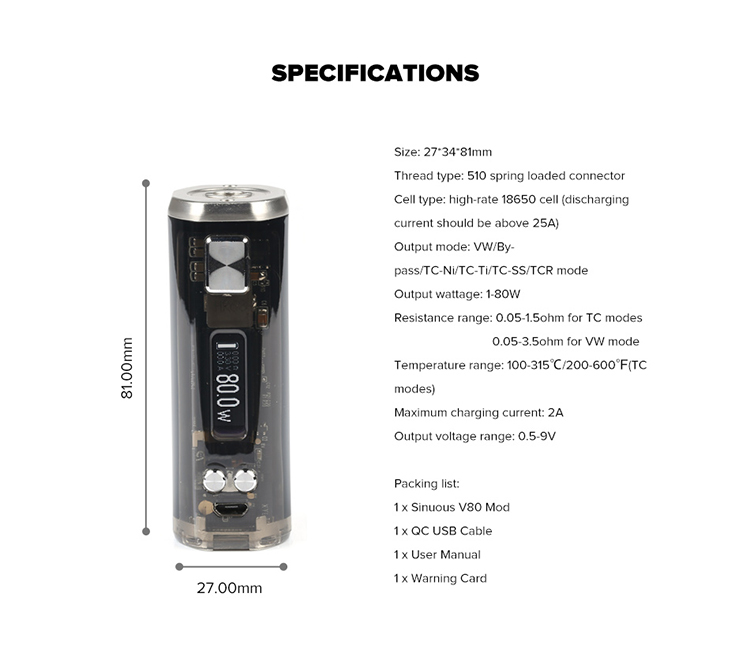 The mod also has multiple protections ensures safe vaping. 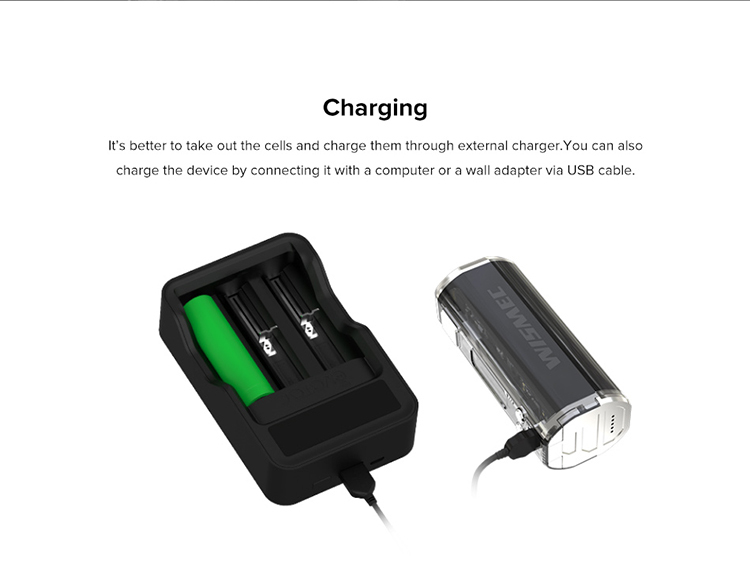 It supports upgradeable firmware and USB charge.